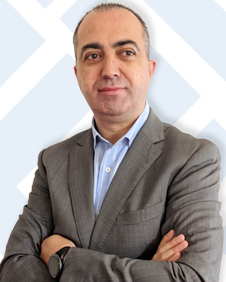 Vicente Aguilera Diaz began his professional career in the IT security sector in 2001. Vicente is co-founder of Internet Security Auditors (a Spanish firm specializing in security services), OWASP Spain Chapter Leader, member of the Technical Advisory Board of the RedSeguridad magazine, member of the Jury of the IT Security Awards organized by the RedSeguridad magazine, and member of Cybersecuritics Research Group. Vicente has collaborate in several open-source projects, is a regular speaker at industry conferences and has published several articles and vulnerabilities in specialized media. Also, Vicente has collaborate as a teacher in the “Master degree of Software Engineering” (Fundació UPC, Universitat Politècnica de Catalunya), the “Master degree of e-Tourism” (Escuela Universitaria de Hosteleria y Turismo, Universitat de Barcelona), and the “Master degree of Computer Security” (UNIR, Universidad Internacional de La Rioja).